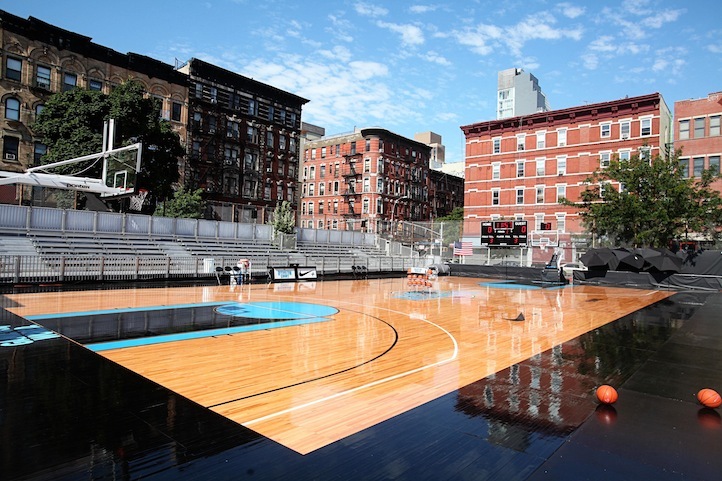 Street ball is a staple of New York City basketball in the summertime. From Harlem’s Rucker Park to Washington Heights’ Dyckman Park to Hunter College’s Pro City, top talent from the tri-state area and across the globe all descend upon Gotham, where the city is hot and the blacktops await. This summer, Nike is bringing the game downtown. 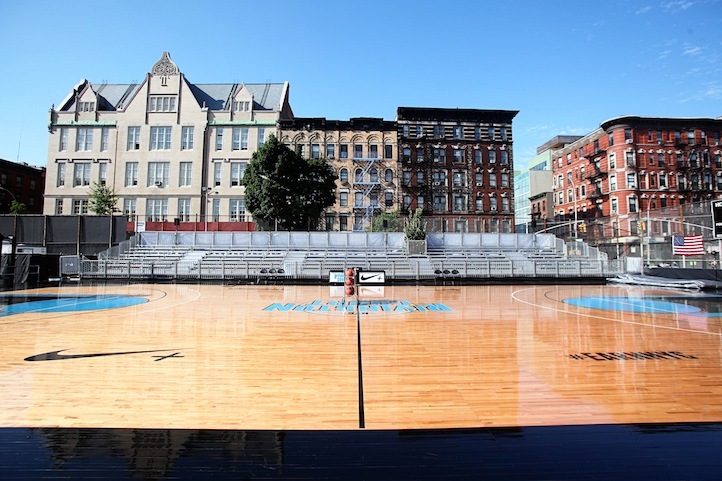 In a way to give back to the community, Nike revamped the concrete playground of Martha Valle/Lower East Side Prep to create Rivington Court– the city’s only outdoor, laminated hardwood court. Complete with two sets of bleachers and VIP seating, Rivington Court is equipped with a massive electronic scoreboard and jumbotron monitor, so basketball enthusiasts can enjoy in-game replays, live and in color, and nightlights. The temporary basketball court will serve as Nike’s new arena for players with the most to showcase their talents in front of a live audience, while pitting their skills up against the city’s best. Team Nike II will battle against the tri-state area’s best teams to stake their claim to the city, every Wednesday night. 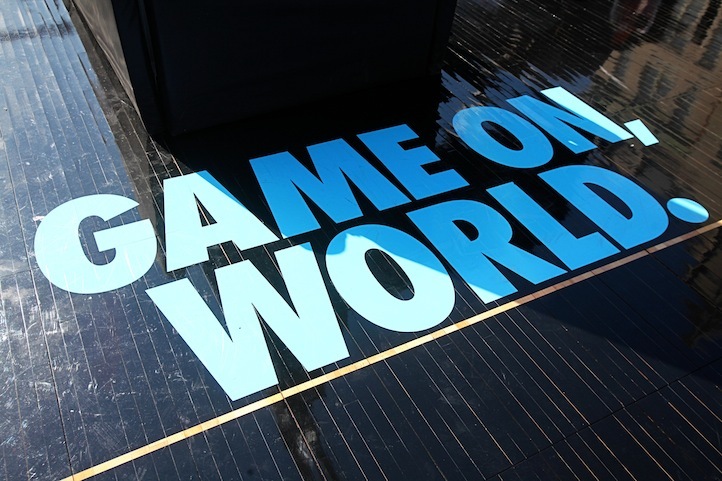 Nike’s newest grassroots hotbed won’t only be accessible to tournament basketball. 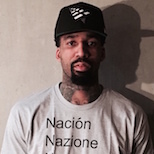 As part of Nike Basketball’s exclusive club, privileged members will have access to the open-air court for runs (twice a week) and workout sessions with Nike pro-trainers. 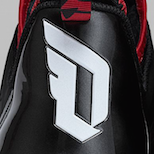 Members, who are a part of the NRF (Nike Recess Federation) social club or just an elite NYC baller, will also be able to measure their skill level utilizing the all-new Nike+ Basketball Sport Pressure Sensor shoe while playing. Names will be taken. Names will be kept. And most importantly, names will be earned once the ball is tipped. 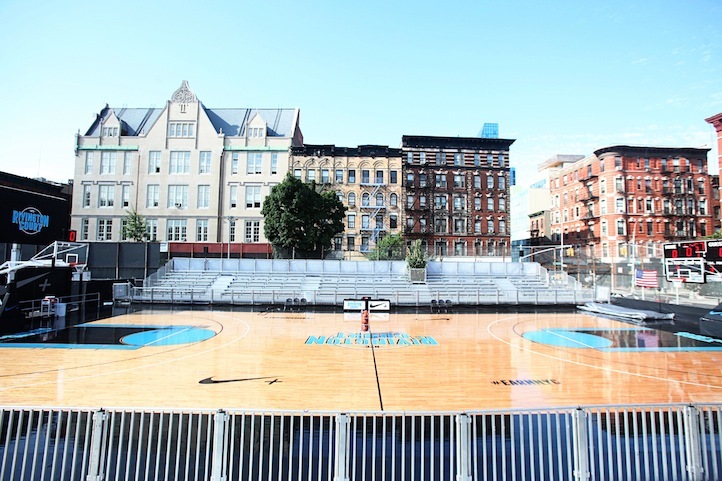 Nike’s Rivington Court NYC is open at 145 Stanton Street (between Norfolk and Suffolk) and will remain so until the end of the summer.